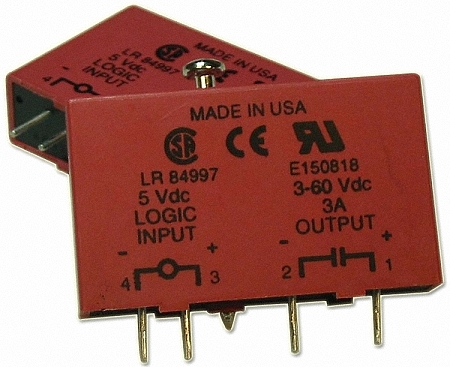 The 1781-OC5S is a DC Output Module. One in a series of solid-state relays commonly used in industrial applications, it is directly plug-and-play compatible with our own TxSS 1-Wire I/O products. An externally located commutating diode must be installed across inductive loads.